Producers of online casino software don`t ignore any stories popular with the public. 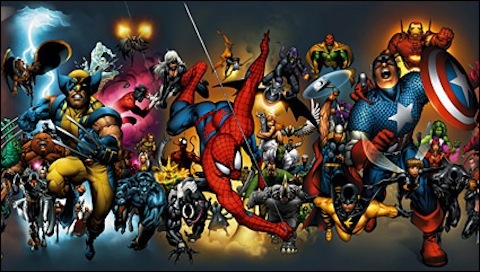 The company Cryptologic was the first to set eyes on Marvel comics and acquired the right to use Marvel comics characters in 2005. Soon it led to launching video slots about superheroes millions of people all over the world grew up with. The step turned out to be right. Boys who used to stand in endless lines to buy a new Ghost Rider or Captain America comics has grown up, become rich and started playing in online casinos. Marvel comics slots were incredibly popular. Bright, colorful and special, they won the hearts not only of comics devotees, but also of multi-reel slots machines fans. Moreover, they offer a multilevel progressive jackpot, which adds excitement and passion to the game. 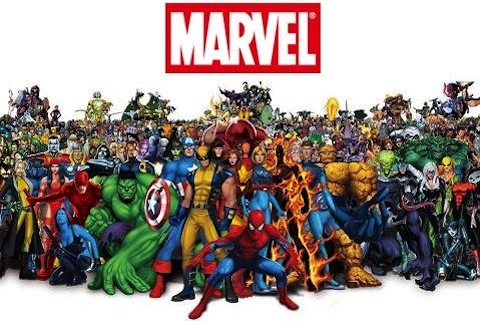 Cryptologic has recently prolonged its contract with Marvel Comics till 2013, which means we will enjoy new slot games about our favourite characters. Cryptologic is not the only producer of Marvel comics slots, though. A couple of years ago Playtech, another major gambling software company, got similar rights. The fans had a tough choice to make, because both companies produced high quality games with stunning graphics. However, much more well-known online casinos are powered by Playtech`s gambling software. This advantage let Playtech products become strong rivals to Cryptologic games. On our website in a special section Slots You find the most popular slot machines created by Cryptologic and Playtech and based on Marvel comics. Among them: Blade, Elektra, Fantastic Four, Iron Man, The Incredible Hulk and X-Men. As you can see, almost all Playtech and Cryptologic games are devoted to the same characters. Playtech also offers scratch card based on some comics. Don`t be surprised if you see Marvel comics slots machines run by some other manufacturer`s software. Casinos often acquire rights to use some slots even if most of the games they offer are produced by other companies. Casinos don`t draw attention to the fact that their new slots are not actually new. This, however, doesn`t make pleasure from playing these fantastic slots less. Play, compare, comment on your favourite slots and, of course, win!